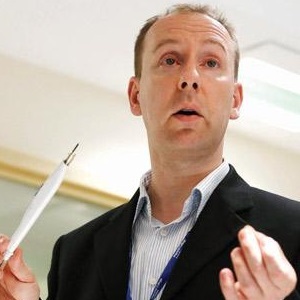 Zoltan Takats, PhD, Imperial College London, and inventor of the “iKnife,” will speak at the University of Florida on Tuesday, May 12, 2015, from 11am-12pm, in the Cancer & Genetics Research Complex (CGRC) Auditorium 101. Dr. Takats is the innovative scientist behind the invention of the Intelligent Knife, or “iKnife.” To learn more about the iKnife technology, CLICK HERE. Dr. Takats will be presenting on the topic of in-vivo mass spectrometry in clinical diagnostics as one of several plenary lecturers at the 2015 SECIM Workshop. All interested parties are welcome to attend Dr. Takats’s presentation free of charge. Please distribute Dr. Takats’s seminar flyer to anyone who may be of interest.